Policy Support –Provides support services to perform financial policy gap analyses, and develop, and update financial policies and procedures in agency’s Financial Manual related to Federal Government and accounting regulations. Financial Training – Provides support services to update, develop and provide financial training and financial systems training in areas including Accounting, Financial Reporting Audit, Internal Control and Budget . Regulatory Compliance and Internal Controls – Audit Support Provides support services to assist agencies with sustaining its unqualified opinion on the agency’s financial statements with no material weaknesses. B&A is assisting agencies with the design and implementation of an interim reconciliation tool on Unfilled Customer Orders to address an NFR associated with year-end September 30, 2013 audit close-out cycle. Services are provided in compliance with Office of Management and Budget (OMB) guidance (A-123, A-11, A-136, etc.). Internal Controls, Tools, and Integration – Supports implementation of OMB Circular A-123, to strengthen existing internal controls and propose new controls and required tools sets, while integrating internal controls into overall financial, cost and performance business processes and procedures. OMB/OIG/GAO Liaison/Coordination/Management Reviews – Provides support services to improve communications among the agencies, OMB, The Office of Inspector General (OIG), and the Government Accountability Office (GAO). B&A facilitate and collaborate matters pertaining to GFRS Reporting to the OIG as well as OMB for the Quarterly Financial Statements. Brooks & Association works closely with audit liaison staff and auditors to reduce and/or minimize the number of agency’s audit deficiencies and responses (management responses to audits and corrective actions) due at the end of each quarter. We manage the coordination, resolution, and closure of open recommendations on or before the target dates agencies establishes with the appropriate internal and external stakeholders. We also develop and implement procedures to analyze the effectiveness and efficiency of the agency internal controls, financial operations, and reporting.  Improper Payment Information Act (IPIA) of 2002 as amended by Improper Payments Elimination and Recovery Improvement Act (IPERA) of 2010 Support – Provides support to all aspects of IPIA work, including documenting business processes, identifying key controls, risk analysis, sampling, testing, data analysis, documenting results, reporting development of reduction targets, corrective action plans and recommendations for program improvements.  Business Process Improvements – Provides support services for planning, coordination, reporting, monitoring and follow-up activities to execute recommended business strategies and ways to improve business practices. Data Integrity – Performs analysis and correction of data integrity errors associated with subsidiary-to-general ledger reconciliations, intra-agency eliminations, and other financial data quality assurance issues. Reporting Systems – Assists the agencies in the implementation of bulk file data transmission through the U.S Department of Treasury’s new GTAS reporting environment. . Also assists in developing business strategies to support the delivery of bulk data files through GTAS based on the fit/gap analysis. Audit Cleanup – Assists the agencies in the timely execution, monitoring, and reporting out of the initiation, management, tracking, and closeout procedures on findings of the financial auditor during the annual financial audit cycle. Accounting Services – Provide support to the agencies on national and headquarters project task setups, creation of shell assets, capitalization of headquarters projects, maintenance of project and fixed asset records, reconciliations, tracking and analyzing data, scanning documents into agencies’ capitalization document imaging system, and performing other duties to support audits of agencies’ financial statements. Financial Operations Support – The agencies uses agencies Federal Financials version 11.5 and refers to it as Oracle. Brooks & Assoc. provides on-site and off-site financial operational support for Oracle and systems interfaced to Oracle, i.e., Compusearch’s PRISM, PeopleSoft’s Project module, and Business Objects reporting and support for business functions related to these systems. agencies uses a business process flow structure, i.e., Procure to Pay, Project Build to Cost, Budget to Reporting, etc. Brooks & Assoc. supports the “help desk” infrastructure, and provides expert consulting services supporting business operations, adapting to system updates, changes, patches, etc., and improving the integration of business processes into Oracle. We have a demonstrated ability to provide visualization and dashboard functionality of financial management information needed to support business processes.Brooks & Assoc. supports day-to-day tasks/activities by assisting with business requirements, process scheduling, task tracking, functional system testing, and use of agencies’ financial systems. These Financial systems may include, but are not limited to, Oracle, PRISM, PeopleSoft’s Cost Accounting., as well as other financial systems interfaced or dependent on financial data in agencies.We provide functional operations support, business requirements support, and oprations research support including: planning, organizing, managing, coordinating, and tracking. Also included: reports management, cost/schedule/performance measurement, risk management, component procurement management, and functional system management that are required to perform all of these activities. Our relevant experience includes gathering functional business requirements and evaluating subsidiary financial reporting systems. Strategic and Operational Financial Planning – agencies requires proven expertise in federal financial operations to maintain strategic, tactical, and operational excellence. Our team assists with feasibility analysis, data clean-up, and cost analysis of financial system reports and reporting requirements. In addition, Brooks & Assoc. provides ongoing expertise in financial policy and procedures, research and analysis, recommend business process improvements recommendations, financial statement preparation and analysis, burdening financial reporting production support, and other related financial operations support. Reimbursable Agreements –We develop agencies budget policy and prepare Standard Operating Procedures to implement a new policy governing the initiation, management, and the logging and tracking, closeout, and general oversight of reimbursable agreements. Budget Formulation and Execution – We Assess agencies’ budget formulation and execution processes, using agency and government-wide budget applications, provide budgetary training on accounting concepts and rebuttals, conduct special reviews such as impact studies review budgetary controls, identify deficiencies and recommend corrective actions to improve operating efficiency and effectiveness. We also review Budget Object Classes and Cost Center using trend analysis to make recommendations for improved BOC compliance and Cost Center reporting. Corporate Budgeting –Provide support to fully analyze the technical, functional, and financial impact of acquiring and implementing business process solutions for the agency and developing corporate business strategies and mission relationships. Performance Planning and Reporting –Supports agencies’ various planning and performance management-related effort including those required by OMB Circular A-136 and the Government Performance and Results Act, performance budget justifications to include annual performance plans, budget and performance integration training, business plans and performance measurement validation and verification. Our team of CPAs and other trained internal and external auditors capable of conducting audit engagements in compliance with the Chief Financial Officer’s Act (CFOA) of 1990; internal control reviews, recovery audits, and other compliance review specifically. Document audit finding, root causes, and recommendations in well-organized set of working papers. 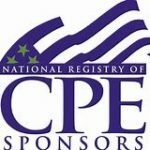 Brooks & Associates CPAs, LLC is registered with the National Association of State Boards of Accountancy (NASBA) as a sponsor of continuing professional education on the National Registry of CPE Sponsors. State boards of accountancy have final authority on the acceptance of individual courses for CPE credit. E credit. *******Our training catalog should be embedded and linked here. Provide professional support to customers within various Program Offices. Assignments involve integrating various policies, procedures and business practice functions containing a variety of complexities into contract documentation. Using knowledge of functional areas analyzes difficult issues and recommends course of action. Provides customers business recommendations, and provides edits to improve their pre-award documentation. Perform the following tasks related to Acquisition Policy: the procurement analyst shall analyze difficult contracting issues, recommend a course of action, and then follow up on recommendation by drafting the necessary documentation to carry out the COA selected by the Government Contracting Officer; review and provide recommendations to program office customers on the adequacy of their requisition packages for compliance with administrative, regulatory, and procedural requirements and consistency with current market practices and conditions. Provide professional support and business aid to the customer and provide support in pre-award and post-award functions (excluding negotiation), using a wide range of contracting methods and types, for complex and diversified federal requirements. Perform market research/analysis to determine availability of the requirement; analyze market trends, conditions and technological advances; and recommend course of action, which may depart from previous approaches. Review and provide recommendations of adequacy of requisition package for compliance with administrative, regulatory, and procedural requirements and consistency with current market practices and conditions. Review and evaluate requisitions for which previous experience and cost data are not usually directly applicable, such as architectural design or construction of buildings involving unusual design features or site adaption. Provide aid in the development of evaluation criteria to use in determining source selection and “best value” requests for proposal which include utilization of past performance data and technical qualifications for awards other than lowest price. Procurements usually involves a variety of complexities such as socioeconomic considerations, complex evaluation factors, difficult to define scopes of work, legal conditions, rigid deadlines, or incentives arrangements causing additional complications. Provides recommendations to resolve problems that limit competition. Perform post award contract management actions on a group of contracts. Track contractor’s performance for compliance with terms and conditions of contracts and notify the contracting officer of untimely submissions based on technical progress reports and performance metrics. Recommend appropriate action to expedite delivery of performance when required by mission changes, and prepare documentation to support chance orders as necessary. Analyze price and cost elements of the proposed chance(s) and provide support when a formal audit is required. Analyze complex contract administration problems, e.g., disputes and labor violations. Prepare recommended replies to other involved agencies, appeals boards, or congressional inquiries. Analyze difficult issues and identify alternative courses of action, which may depart from previous approaches.